Source of title proper: Title based on the contents of the item. The photograph was donated to the BC Archives in 2016 by Wren Katzalay, daughter of Kenneth Katzalay. Copyright assigned to the BC Archives in 2016. 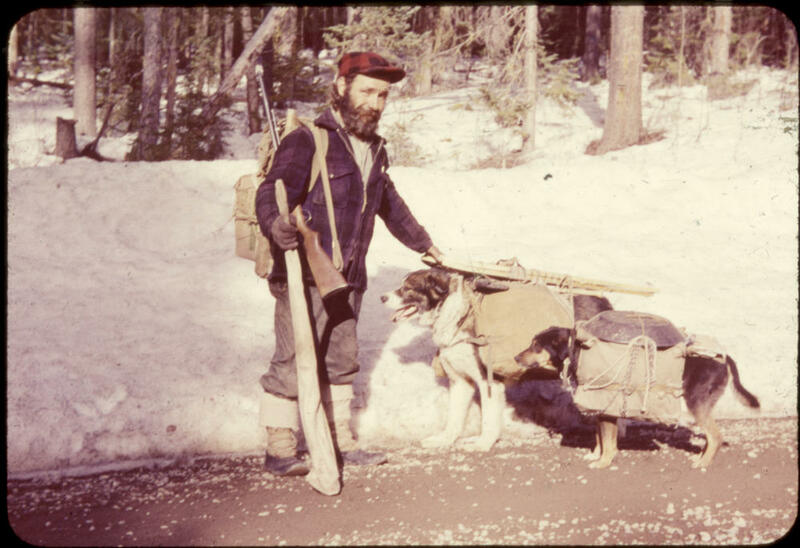 Another slide of Yukon Joe in this accession described as I-66559. Two colour prints of Yukon Joe described as I-84359 and I-84360. ANSCO colour transparency in 35 mm slide format.